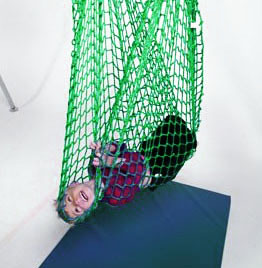 The soft webbing swing cradles the user with a deep pressure squeeze. Includes Easy Release Clips. Size: 198 x 99 cm.